When composed thoughtfully and paying attention to detail, your resume can become an effective marketing tool that exhibits you in the best possible light to the potential employers. The qualities and skills you mention in your resume must demonstrate that you are a perfect candidate for the position and help you secure an interview. Each resume vary based on your job description and specific experience, there are a few things you must consider while writing a finance resume. Use an opening value statement to summarize your unique financial skills to the hiring manager. Outline your strengths, experience, and skills. Mention the names of drop big companies in your finance resume, if you have worked with them! Remember, hiring managers are looking for the value you can add to their company. Potential employers want to know how you can add value to their company. Present them numerical figures on how you helped previous companies. Did you help to close the financial process a few days earlier? Did you help the company save some percentage in overhead costs? Clearly mention your achievements in the finance industry. Yes, it’s simple. For every vacant post advertised, hundreds of finance resumes turn up on the hiring manager’s table. They don’t have enough time to read each one, so they peruse through resumes. You can make it to them if you create a finance resume that’s presentable and readable. Here’s how different resumes stand out. Do you have all the perfect skills set relevant to the job? Do you think your competencies are better than others? Create a bullet-list of specific competencies and skills. Also, include any technical skills like software proficiencies and industry-specific tasks that you are capable of performing. The list will help the company to know skills that it is looking for. Do you want to demonstrate why you are qualified for the job? 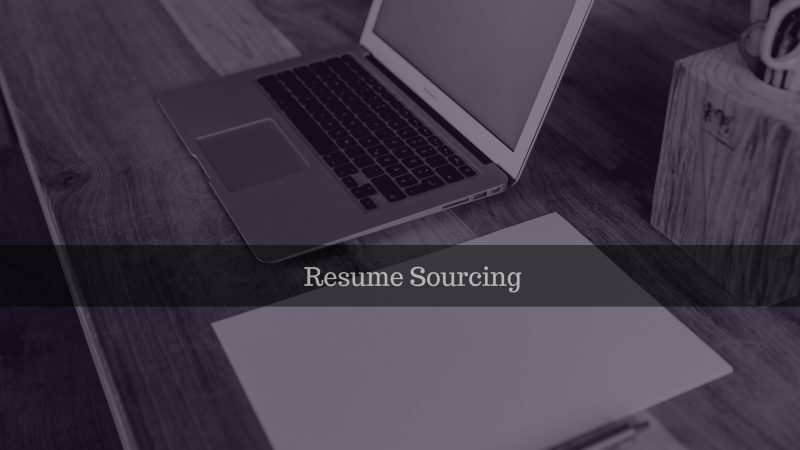 The best way to do is to create an impressive Resume Sourcing profile. Writing concisely would highlight your skills and potentials in a better way. In a few sentences, you can explain how you have added value to the other companies. Customization is the keyword. Pay attention to your finance resume, and the hiring manager will surely pay attention to you. Potential employers are seasoned individuals who know when a resume is tailored to the particular job opening, or just a generic one open for all kinds of job openings. You can give off an impression that you are interested in by customizing your resume to a specific position. Most of the finance jobs need particular finance certifications. List such certifications in a separate section of your resume to demonstrate your potentials. A good rule of thumb is to start from listing the certifications that are appropriate to the job. Did you work in a team? How many projects you have handled individually, and how you did it? Do you possess technical skills to use the latest financial software? How did you overcome project-related challenges? Use as few words as possible to enhance readability. Too wordy resume are skimmed over and employers don’t get your content. Learn to express it in as few words as possible. Since the hiring manager peruses your finance resume, use keywords and action words to convey your achievements and qualifications. Try not to repeat the same words. Take help from Thesaurus for different variations. Hiring managers prefer resumes with keywords mirroring the ones they use. Hence, before you write your resume, take a look at the job description and read the annual report of the company to try to use similar wording. 11. Stick to the Story! To wrap it all up, remember the story you want to sell in mind and don’t deviate from your path when writing your resume. Everything from core competencies to the value statement list, to the achievement sections and notable projects, and the content you include all should further the notion that you are the best fit for the company needs for the vacant position. Kyra is a Hiring Director at Alliance Recruitment Agency – an IT Recruitment Agency. She specializes in helping with international recruiting, senior level recruitment consultants india , staffing in Dubai, HR services and Careers advice service for overseas and international businesses.